What could be better than a little buddy whose got your back? Meet Charlie, Fang, Remi and Lola pictured from left to right in the image above. They comprise Milkdot’s new Kawaii Päc mini backpacks collection — ready to delight little ones with their cheery hues and sweet faces. “Kawaii” means lovable, cute and adorable in Japanese, and we’re certain kids will think these 12 x 10.5 x 4 inch backpacks, which weigh only 8 ounces, are all of the above. 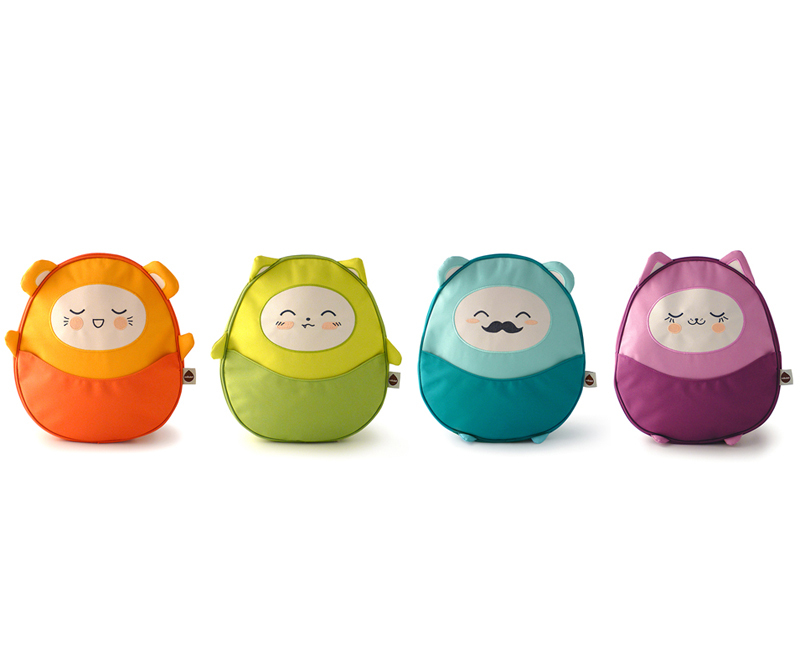 Designed for tots age 2 and up, Milkdot’s new Kawaii Päc mini backpacks are lead-free, PVC-free, phthalate-free, BPA-free and water-repellent. They feature a large outside pocket for easy accessible storage, a padded back panel, padded adjustable shoulder straps and a carry handle. Pre-order starting September 1st on the Milkdot website for shipping in October 2014. What could be better than a little buddy whose got your back? Meet Charlie, Fang, Remi and Lola pictured from left to right in the image above. They comprise Milkdot's new Kawaii P�c mini backpacks collection -- ready to delight little ones with their cheery hues and sweet faces. "Kawaii" means lovable, cute and adorable in Japanese, and we're certain kids will think these 12 x 10.5 x 4 inch backpacks, which weigh only 8 ounces, are all of the above. Designed for tots age 2 and up, Milkdot's new Kawaii P�c mini backpacks are lead-free, PVC-free, phthalate-free, BPA-free and water-repellent. They feature a large outside pocket for easy accessible storage, a padded back panel, padded adjustable shoulder straps and a carry handle. Pre-order starting September 1st on the Milkdot website for shipping in October 2014.